It's a big day of action at Bassendean starting with the Futures playing at 8am, the Colts at 10am, the Reserves at 12.30pm and the League at 3pm. There's plenty of action off the field too in the season-opener for the Black Ducks. Keep your ears peeled to the speakers because you will be hearing the one and only club legend Tallan Ames taking over the microphone for home games this season. Swans will also be unveiling the brand new club mascot on Saturday and that's just the start of the festivities. 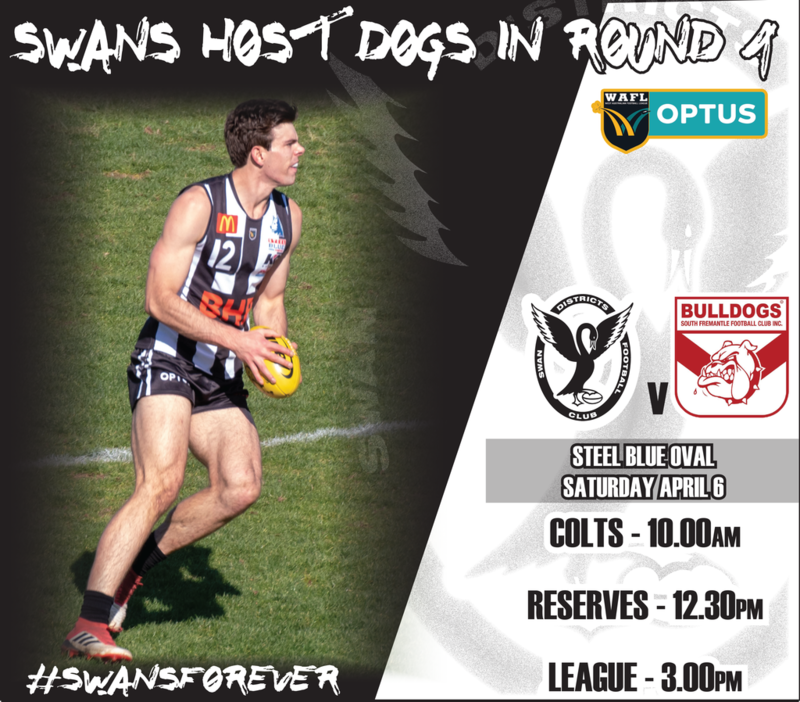 The Swans Play Zone will be in full effect while there will be plenty games to partake in, prizes to be won and if your postcode is 6054, you can get a free sausage sizzle and drink. As for the game itself, Swan Districts will be looking to make a strong start to its second season under Adam Pickering as coach up against a South Fremantle team that might have played in the past three preliminary finals but has had plenty of change over summer. There are plenty of new faces in the Swans team named for Round 1 as well. George Hampson has arrived over summer and will make his Swan Districts debut. He brings with him 109 games of WAFL experience while having won fairest and best awards at both Subiaco and East Fremantle on top of being a premiership player. Josh Simpson has also arrived at Swans this year having previously played in the AFL for Fremantle. The excitement machine could be a significant addition to the black-and-whites if he can recapture anything like his best form. Jesse Glass-McCasker has returned to Swans from time in the AFL with Carlton this year and will make his WAFL league debut on Saturday. 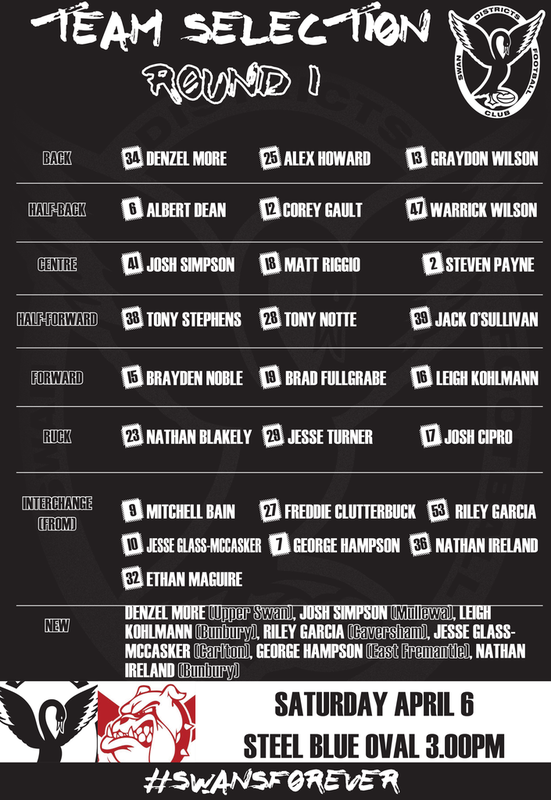 Then there are a host of young players in line to make their debut in Round 1 against South Fremantle including Denzel More and Riley Garcia while Graydon Wilson, Jack O'Sullivan, Brad Fullgrabe, Josh Cipro and Ethan Maguire will have the chance to show their growth over summer. Leigh Kohlmann and Tony Stephens are two players to have come back to Swans this year and will get a chance to show what they can provide in Round 1 as well. As for Saturday's opponents, South Fremantle has lost plenty of quality and experience over summer including Ashton Hams, Ryan Cook, Cory Dell'Olio, Shane Hockey, Ben Saunders and Matthew Parker. 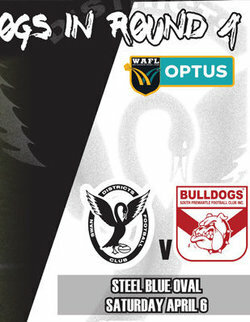 That means it's going to be a significantly new-look South Fremantle team that Swan Districts hosts to kick off the 2019 WAFL season that promises so much.